US equity indexes closed significantly lower, sp -31pts at 2822. The two leaders - Trans/R2K, settled -1.3% and -1.0% respectively. 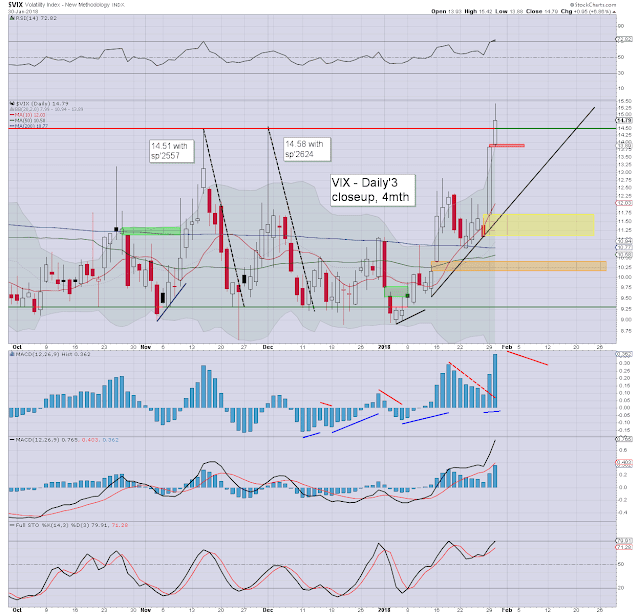 VIX settled +6.9% at 14.80. 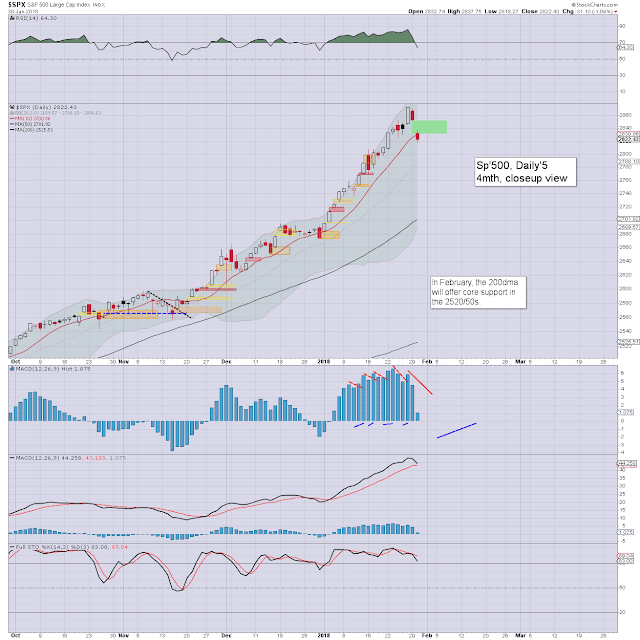 Near term outlook offers at least a moderate bounce into end month. 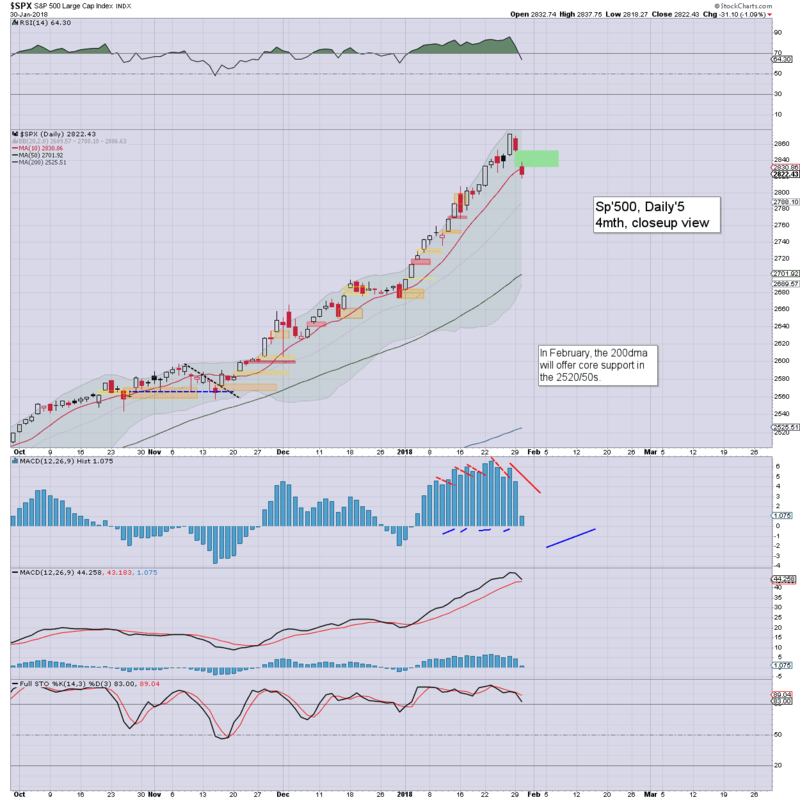 More broadly, the 2950/3047 zone remains big target this spring. US equities opened moderately lower, with the market seeing rather significant cooling to sp'2818 by 10.05am. The rest of the day was just minor chop, with a notable fractional higher low of 2819 in the 1pm hour.. which held into the close. 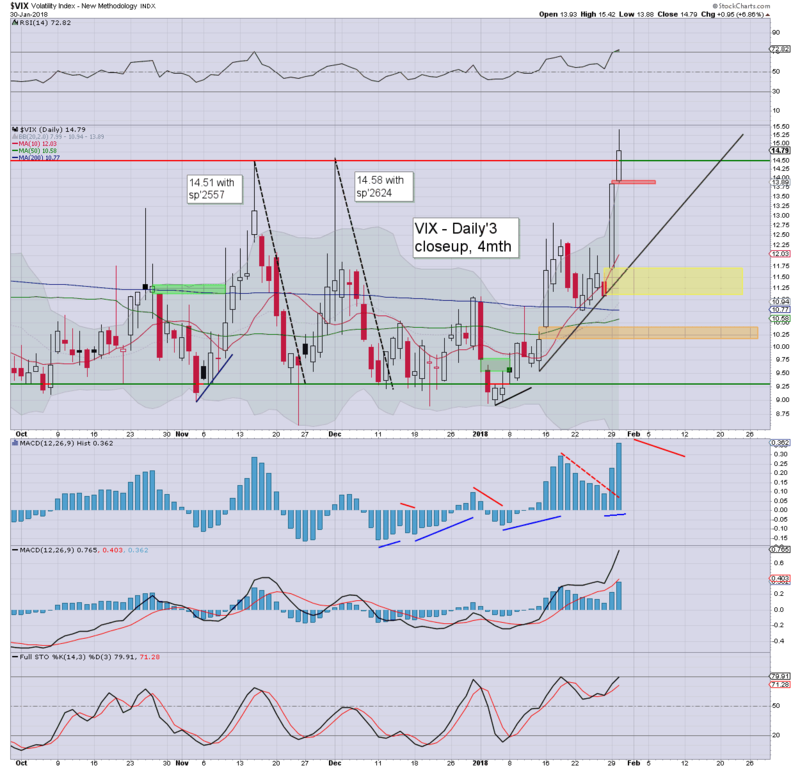 With weak equities, volatility jumped at the open, seeing an intra high of 15.42, the highest VIX print since last August. Pres' Trump will give the SOTU address Tuesday, around 9pm EST. It will likely be an particularly cheerleading speech. In particular, look for some mention about an infrastructure bill, which would be partly financed via super long term (50yr?) bonds. Such talk will likely inspire equity upside into end month.